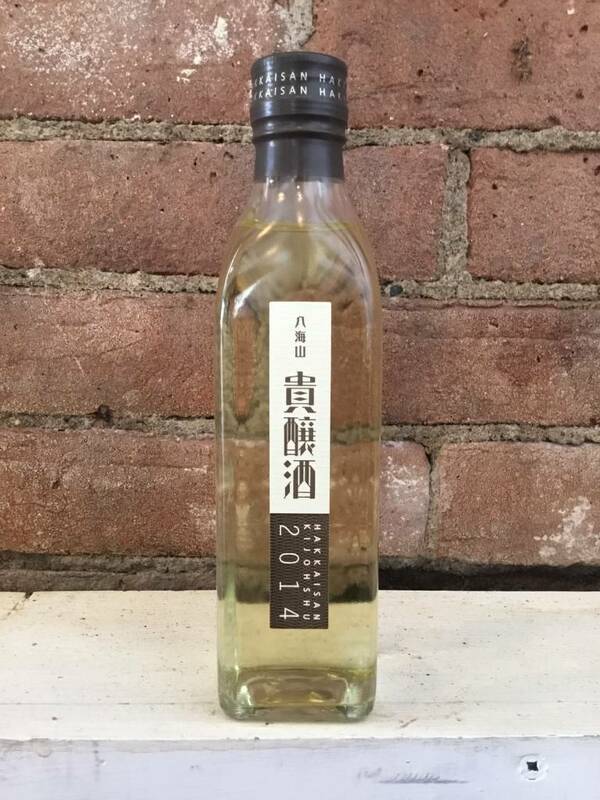 An elegantly viscous and sweet sake made by basically twice brewing the sake so the natural sugars are intensified. An excellent drink for sitting after dinner not unlike a snifter of Port or mixed with soda water for a cocktail. It is also uncommon in that it is a vintaged sake, meaning the brewery believes it has an aging potential many sakes don't possess. "Hakkaisan's Kijoshu is an elegant and extravagant Sake brewed not using water, but Sake itself during the final stages of brewing. The refreshing and unique Kijoshu is bottled before its final stages of maturity - you will surely notice the otherworldly effect this has on the final product, as it creates a densely sweet aroma and flavor. water that flows from the mountain is used to produce its sake. 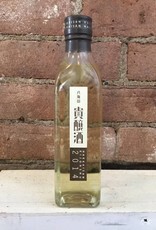 The guiding principles of the brewery are to produce the finest sake that people will never tire of, to apply the highest standards of production to all its sakes, and in order to achieve the smooth wonderfully pure and mellow flavors of Hakkaisan sake, the Brewery insists on producing in small batches, using hand-made koji and slow fermentation at low temperatures."